The Leeds Mercury was established by John Hirst in 1718. The newspaper only had a small circulation in its early years. In 1797 a journalist, Edward Baines, joined forces with a group of Unitarians led by John Marshall, to purchase the newspaper. Four years later Baines became the editor and sole proprietor. 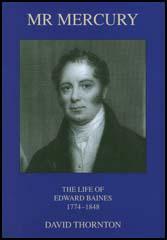 Edward Baines was a staunch Methodist and supported the cause of the Dissenters. He advocated that industrial towns and cities such as Leeds should be represented in Parliament. Edward Baines also strongly disapproved of the Slave Trade and willingly used The Leeds Mercury to support the campaign of Thomas Clarkson and Granville Sharp to bring an end to slavery in the British Empire. However, influenced by his many friends involved in the textile industry, Baines was totally opposed to factory legislation. Although in favour of some aspects of parliamentary reform, Edward Baines disagreed with the working class being given the vote. Edward Baines' criticisms of those advocating universal suffrage resulted him becoming very unpopular with radicals in Leeds. On 16th August, 1819, Edward Baines' son observed the Peterloo Massacre and the report in The Leeds Mercury blamed both the organisers of the event and the officers of the yeomanry for the disaster. (4) In his memoirs, Philip Snowden, explained how his father was a reader of the Leeds Mercury in the 1840s. I have heard my father relate how a number of handloom weavers contributed a halfpenny a week to buy a copy of the weekly Leeds Mercury, which was then sevenpence, and with these coppers he was sent to a village four miles away each week to get the paper; and then the subscribers to this newspaper met in a cottage and he read the news to them. The Leeds Mercury in those days was a Radical journal. Those were times of great political and social excitement. The Chartist movement was affecting the industrial population, and the agitation was affecting the industrial population, and the agitation for the Repeal of the Corn Laws was at its height. They were dangerous times for those known to harbour Radical opinions. 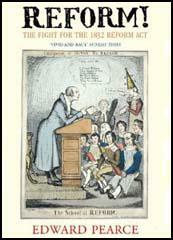 Throughout the West Riding, as well as other parts of England, men were being arrested and sentenced to long terms of imprisonment for alleged sedition and political conspiracy. This group of Radical-Chartists in Cowling had to take precautions against the attentions of the constable, and when they gathered together to discuss politics and hear my father read the paper for them they shuttered the window and sometimes placed a scout outside to watch for the constable.